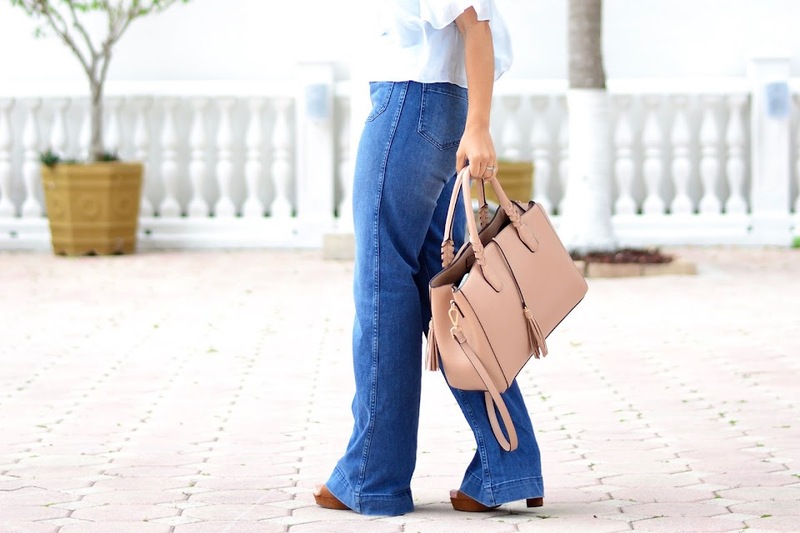 Bell bottoms have definitely made a comeback and I personally love it. I know a few people who don't care for the trend but there's something about the 70s fashion that I truly enjoy. 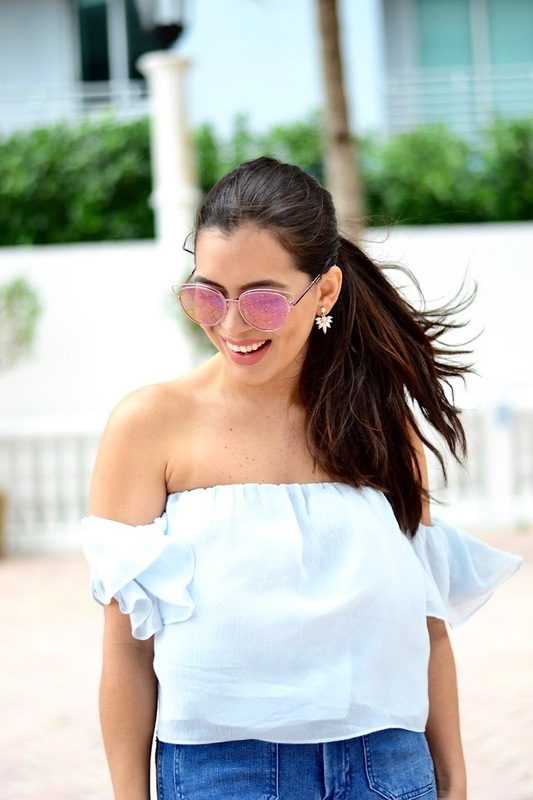 The off-the-shoulder tops are everything right now and I couldn't pass this one I found at Forever 21, the color is like a powdery blue... so pretty. I want a really nice white one but haven't found one yet. There's a bunch online but I want to see it person and try it on, as these can be a little tricky to pull off depending on the style. 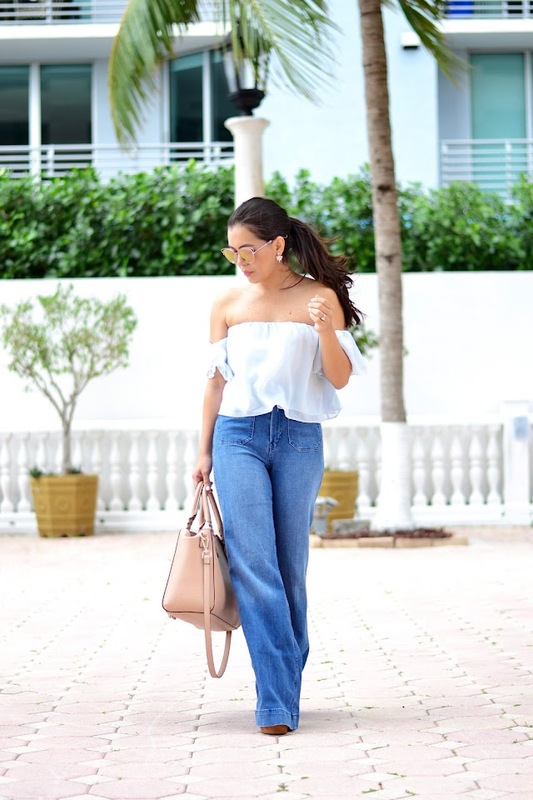 Pairing these tops with a pretty flow skirt or denim like I did, really is a super chic boho look that I love... very springy, very stylish. Add cute accessories and you are good to go! Are you loving the 70s vibe?